Hello everyone! It is a beautiful day here in Dalton, Georgia and the sun is shining. I wanted to give everyone an update on our progress. I have been trying to raise money through different sources but no one seems to care to support a cause that has been an issue for many years. I will not give up though. It is my passion to help those who are in need of assistance. We have been busy around here with personal matters and I am ready to try something else now. I am going to start making arrangements for table donations at local merchants to get some funding to come in and help. I also need to finish setting up my list of foundations to send requests for support. I am hopeful that we will meet our goal to build our first community by the end of the year. The homeless individuals that we have spoken to about the program are excited to get someone to help them regain their self-sufficiency. It only takes a dollar from every American and we could end the homeless situation in the United States. People are so worried about their own lives and money that they don't seem to care that a homeless individual could be a family member or their own next door neighbor, they want to help themselves only. My plan is to start making calls next week to set up tables to collect donations and to sell candles in order to get some of the funding to help towards our goal. I have been using some of our own personal money to pay for all the registrations and paperwork to keep Hope Station alive and never wanting it returned. That is how much I care to keep her going to assist them out there in the wilderness struggling to survive. We will make our goal this year for one community to show everyone how well our program would work to help end homelessness. I just wanted to give everyone an update on the status and will post again soon hopefully with some good news. Take care and if you want to show your support just click on one of the links below. Be blessed. Hello everyone. It is time for another update on our progress. I have set up a GoFundMe campaign which isn't doing very well right now. I have to set up another campaign on a different site and I have been placing the donation links everywhere with still no response. It saddens me when we have a sure plan of helping the homeless to regain their self-sufficiency and no one cares to help support us. I have not seen anyone with this type of plan and we have spoken to some of the homeless and they can't wait for us to get it set up because it will definitely help them. There is a good response from the homeless population, it is just getting the community to help us out to get this project going. I will be updating the campaign page with a post and then set up the other campaign page on a different site to see if these people can help support our efforts. I also hope to get some grant funding research done today and tomorrow to seek out funding for our project. Once we secure funding for our project, the first location will be a trial run to make sure it will work and to record the success rate. We are positive that it will work, but the community needs to see the success rate to give their support. Once the success rate is recorded then, we will try for more locations across the United States to help end hunger and poverty everywhere and hopefully, other charities will jump on board to help in other locations. I am working on setting up donation tables at local merchants and that will be worked on this next week to get some set up in the next couple of weeks. I am hopeful that things will come together this year for Hope Station. Good morning everyone. First I want to send my thoughts and prayers out to those sleeping outside. I just wanted to give everyone an update. If you haven't noticed yet there is another page added to the site? It will be my journal and route taken during my walk. you can look there during my walk and see my progress as far as the route that I will be taking in case your in the area and want to say hello or get a picture with me. You will also see how many miles I have walked, my location, and any money raised during the walk. My husband will be at 5-mile checkpoints for me to take a break and posted up in case you have any donations you want to stop and drop off. I look forward to this walk and meeting new people out there. I will be stopping to interview the homeless for a book that I will be writing in November. I am very excited about the walk and raising the money to assist them in getting off the streets and becoming working citizens again. I got a GoFundMe account already in place and I have been working on the grant proposal to submit to certain foundations for funding the project. Things seem to be moving in the right direction this year and I am certain this will be our year for great things. I just wanted to give you a quick update and will update you again in a few days. Take care and may God keep those living in the streets under his protection. Hello everyone and how are you? I am doing fantastic and my thoughts and prayers go out to those living on the streets. Last night I finished researching all the information that I needed for the new program of Hope Station USA call Pathway to Self-Sufficiency. it will be a program to help them transition from living on the streets to becoming a working tax paying member of society. We put a lot of thought into this program and do believe it to be a huge benefit to the community and society as well as to the homeless individuals who join the program. It gives them that hand up that they need to get back on their feet again. I will place part of the grant proposal and the estimated costs here in this post so that everyone could see what the program entails and what the costs would be to get her up and running. We would use homeless individuals and volunteers to help build the little community and it would provide a few jobs per location that are constructed. We are excited about it and the benefits outweigh anything else that comes close to helping them. 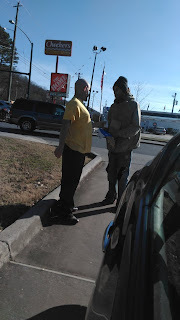 I can't have my heartstrings pulled every time I see someone out there panhandling to survive when most are able to work and that is another benefit of the program and that is to get them working again. So here is the information about the program and maybe everyone could chip in and help us out. 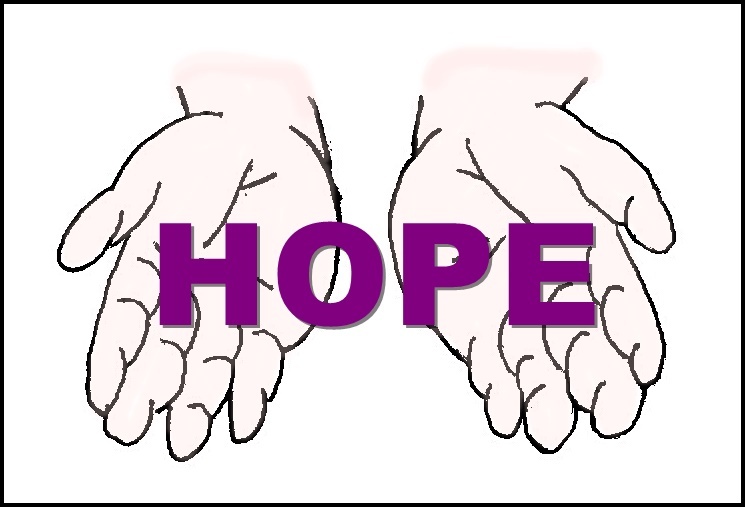 Pathway to Self-Sufficiency is a program created by Hope Station USA, Inc. that would provide a stable and safe place for a homeless individual to live and with the programs help, they will learn the steps to becoming a working and tax-paying member of society again. The program consists of steps that will need to be taken in order to graduate the program and become self-sufficient. Each individual will be assessed, and the program will be tailored to the individual's needs and goals. Individuals that graduate from the program will also be considered milestones and accomplishments for Hope Station USA, Inc. The program for each individual will be six months long, and upon their time of graduation, they will be assisted in moving into their new apartment or home. We will provide transportation to and from their place of employment and back to their assigned housing unit at Pathways to Self-Sufficiency. Each individual will be required to sign a contract stating that they will abide by the rules of the program and that they will assist in keeping everyone within the walls of the program safe and from harm. There will be ten steps to the program with the first one being the assessment and then being assigned a housing unit. There will be twenty housing units within each Pathway to Self-Sufficiency location created. The goal of this program is to assist as many homeless individuals as we can and get them back into society. The next step will be to sit down with them and set some goals both short term and long term. We want them to understand that they do have choices on how they live and how they want to be perceived by society. We will also assist them in building a resume if they have work experience prior to becoming homeless. Through our computer lab, they will have access to job seeking resources and the occasional free time with the internet but under supervision and website blocking for inappropriate material. Also, there will be our version of Alcoholics Anonymous and Narcotics Anonymous which will be led by myself or a guest speaker with ten or more years under their belt. I have been clean and sober for ten years now and I cherish every minute of it. There will be community nights where everyone will get together and hang out and get to know each other and barbeque weekends. Hope Station USA will provide them with meals and hygiene products as well as any clothing that they might need for job seeking. The purpose of these meetings will be to let everyone know that they are not alone and to give them hope. Another step will be to teach them life lessons as we call them. Each individual will be taught the basics of living a normal life, such as cooking, laundry, cleaning, grocery shopping, and sewing. We want to equip them to be able to take care of themselves once out on their own. Once they have acquired employment, then we will take them to open a bank account and teach them to budget and save money. They will have to be taught how to pay bills and live a normal life. After thirty days of working, we will require them to pay one- hundred and fifty dollars a month as a rental payment for their housing unit. This will be used as an income to keep the program going. The next step will be to assist them in securing a source of transportation. Whether they want a vehicle or a bicycle, it will be to help them get around. Soon after they have acquired their own source of transportation, it will be time to begin saving for their very own apartment. At their six-month period, we will assist them in moving to their own apartment and we will have a graduation party for them before they are checked out of their housing unit. Each housing unit will be equipped with a twin bed, a micro-fridge, a small microwave, a refurbished television, a dresser, and a desk with chair and a small lamp. There will be curfews in place for their own safety and someone will be on guard overnight to maintain the safety of the community. With this program, it will create four to five jobs per location that will be laborers, overnight people, and a housekeeper to keep the bathroom and showers clean on top of doing the laundry that is needed. This person will also check people in and out during the day in the administration building. Good morning everyone. I am pleased to inform you that we received our registration for the state of Georgia. It is a good day! Now, things can begin on a good note with fundraising and servicing the homeless here. We have lots of plans and I have been working on the fundamentals of a new program and getting the information ready to seek funding for the new program. We, my husband and I, will be putting some of our own money away towards this program to show our support and everything will be laid out in black and white for everyone to see. I can also start setting up tables here in Georgia too to bring in some funding. I am excited about this year because it will be a new beginning for Hope Station USA. Some other good news is that I have an agreement with my husband that if I do my treadmill every day and build up my time and endurance, get my weight down to two-hundred and thirty or less, and get medical clearance from my doctor, I will be doing a state walk for charity here in Georgia and then next year will be Florida and Tennessee. I want to bring about the awareness that we have a serious issue with homelessness that needs our attention. These are human beings having a hard time in life and they need our compassion, respect, and help. Get to know these people in your local community. Buy them a cup of coffee or a burger and sit and talk with them. I will have a book coming out in November on homelessness and with my walks, I will be sitting along the way with some of them getting their story and picture putting it inside the book so you can get to know these people for who they are and not what drugs or alcohol they are using. Well, that is all the excitement for now, but I will have more in a few days when I come back and do another status update. Remember these are people too so do something nice for one today. My thoughts and prayers are out there with them. Take care and everyone be blessed. Hello everyone! It is two twenty-three in the afternoon and thirty- five degrees outside. It is a light rain but you can feel the moisture in the air. I have been up since about ten o'clock and have gotten my coffee and house cleaning done for the day. Now it is time to get some of my writing stuff done. I took the afternoon off yesterday to take a nap and could not recoup from it until around dinner time because my husband and I were talking about something that woke the beast within me. I did a walk for the homeless back in two-thousand and ten and I think it is needed again to raise awareness and to show my passion for helping them regain their self- sufficiency. We are currently registered in the state of Florida and Georgia and by the end of the year, we are hoping for Tennessee to be included. We were talking about doing a shorter walk which would be a state walk at a time. I began looking at a map last night to show me routes and mileage for Georgia. My husband would go along as my support team. I also began looking up solicitor permits last night for door to door donations which we could collect money, blankets, food, and clothing. I get amped up every time we talk or discuss things relating to helping the homeless. I want to do whatever we could to help them. A percentage of all my book sales go to the organization to give her a residual income to help out. Right now all supplies needed are coming out of my own personal money to help. It is something that is very important to me. Hope Station USA has been incorporated for ten years now and it has been slow due to health and medical issues, but I feel a comeback is coming shortly. So we would do one state walk during this year which we made a deal that I needed to lose a little bit of weight and get my health back into gear before allowing me to do the walk. I agreed that I need to get I shape for it and have set a goal date to have my weight down and my diabetes under control again and that date is August thirty- first. I have already started back on the treadmill again to build up my endurance and with that, I also have to have my weight down to two-thirty or less and my sugar has to be under control before that date to do the walk in September. I will make these goals and will make this walk to bring about awareness for the homeless situation going on in our country. I have a book that is scheduled to be written and published in November on homelessness and while I am on my walk, I want to get some of these individuals stories and pictures to put into this book to allow society to get to know these people and see that they are just human beings and what be homeless has done for and to them. I am also working on the financial and plan for the new program of Hope Station USA that will help them immensely. I am working on the paperwork to set it up for grant proposals to send out. I have thought about this program in my sleep and have seen it work in my mind. This program could take off and then become a national thing to help end our homeless issues. I will be posting this same post on Hope Station USA's website for those who miss it here. Other than everything going on there, I am still working on my next book and I have one in editing still, but hopefully, it will be published by the end of this month. I have changed my writing schedule around so that it gives me two weeks per book to write them and then work on the editing stage. I am very excited right now to get things moving and I wanted to share all my thoughts with you and hopefully, I will get some feedback. Please do something nice for a homeless person today and show them you care. It is all I am asking unless you want to purchase one of my books and that can be your way of contributing to our cause. I want to wish everyone a blessed day and my thoughts and prayers are going out to everyone sleeping outside in the cold. "Happy Birthday" to everyone born on this date. Take care. Good morning everyone. How are you? My thoughts and prayers are with those sleeping on the streets tonight and may you stay warm. I have some good news to announce to everyone. I just spoke with my husband who is also a director of Hope Station USA about a charity state walk for homelessness awareness. I attempted a walk across the country back in 2010 from Orlando, Florida to Los Angeles, California which had to end abruptly due to my support person/Treasurer getting sick that we had to return to Florida where she battled Cancer for a couple of years because of no health insurance and we lost her in 2017. I want to raise awareness of the homelessness issue here in the United States one state at a time. I have a goal to set it up for September so that it will not be so hot out there while I walk. He agreed to let me do a state walk for each state we are registered in to show our support of the issue. I have health goals to make before doing this and I believe I can do it. On another note, I will begin working on paperwork today to get our new program together to submit to foundations for funding. It is a good day for getting things done. I will be working on grant proposals today and every day to get some funding coming in to keep going. We might even start some door to door solicitation for money, blankets, and clothing donations. Everything is getting set to go. I just wanted to give you an update on stuff going on and that we are moving forward. Hope Station USA has been incorporated ten years now and we are excited. Have a great day and do something nice for someone less fortunate today. Take care. To assist the needy and homeless in becoming self sufficient by providing the basic essentials to sustain life and giving them HOPE. Hope Station USA, Inc. 2009. Simple theme. Powered by Blogger.